These crochet holly doll slipper boots are perfect for lounging and snuggling, great for every family members in the cold season! 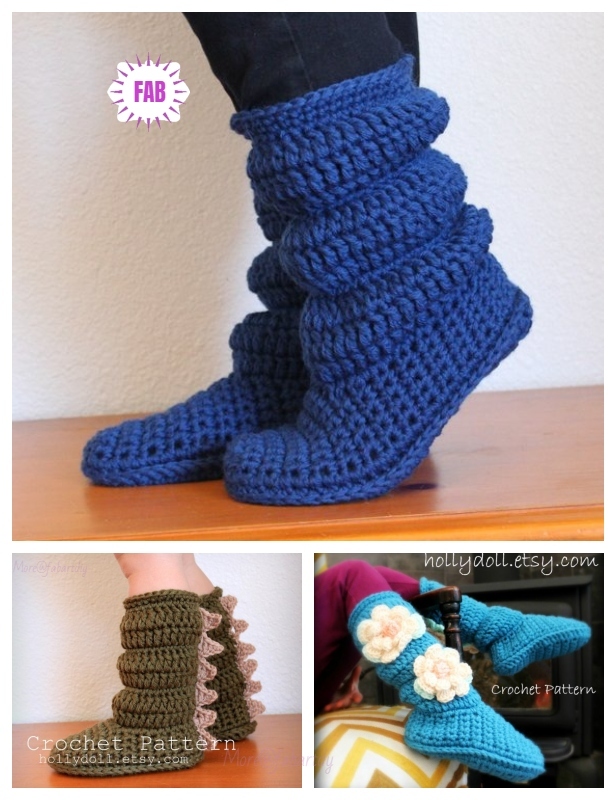 If you love to crochet some house slippers for your family, you will love to check out Crochet Women Slippers Shoe Patterns Round Up. You will be thrilled with how comfortable, warm, and stylish they are, they have a double crocheted sole for a cushy pad and have elastic bands crocheted into the material so they fit snugly and are never sloppy. They can be worn up tall or scrunched, but either way, they stay put and don’t fall down. As long as you’ve mastered single and double crochet and can follow a pattern, you will make one easily.